View More In Serial Cables - Page 2. Functional lines: black and red-VCC-GND, green-the TXD, white-RXD. 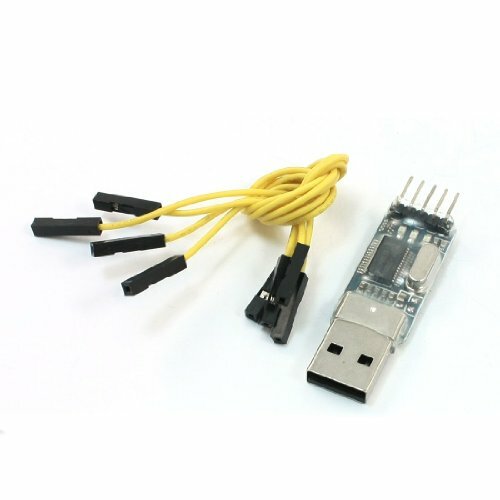 USB to TTL RS232 level, and is widely used in set-top boxes Brush, microcontroller download occasions. 3.3V and 5.0V output is set to small board is unplugged from the computer, set the jumpers take, not to live operation, in order to avoid damage to the device . If you have any questions about this product by Aexit, contact us by completing and submitting the form below. If you are looking for a specif part number, please include it with your message.